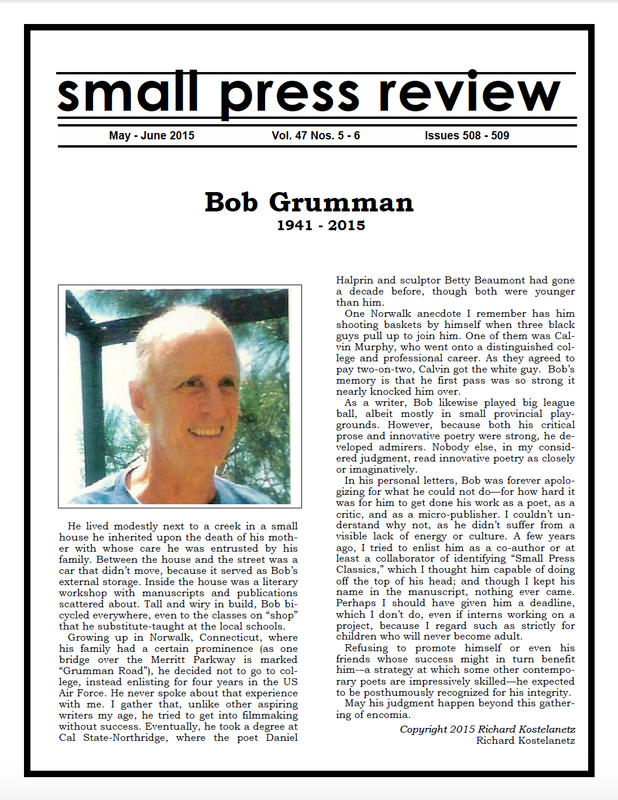 Last week I received an email from Susan Fulton Raymond and Kathleen Glanville, editor and publisher of the The Small Press Review, that the May-June 2015 issue would be the final publication from the magazine. As a contributor to the magazine for over ten years, I wanted to take a moment to acknowledge the publication–and its publishers, especially Len Fulton (1934-2011), founding editor/publisher. In the mid-1960s, Len started Dust magazine–not to be confused with the recently established fashion magazine bearing the same name–which evolved into Dustbooks. In 1965, Len published the first Directory of Little Magazines and two years later co-founded the Committee of Small Magazine Editors and Publishers (COSMEP). Fulton would go on to publish eight books of his own (novels, travelogues, and plays), but his work on The Small Press Review & The Small Magazine Review are part of his greatest contribution to the world of publishing. Most of my communication with Len was via snail mail. About every four months, I’d receive a large manila package stamped MEDIA MAIL and filled with 3-5 books and journals. Every package had the usual Dustbooks cover letter (a little instructional/submission guide and thank you) that was signed with a little hand-written note. The amount of time and detail he put into each volume is an inspiration. The expression “Labor of love” is such a cliché, but I can’t find other words to describe him. In 2010, we spoke a few times, and I suggested doing an interview with him for a magazine. This was delayed with my move to Baltimore and the long wait for a response to my on spec proposal from magazines. I was dismayed to hear from one top magazine who responded they didn’t know who he was–this from a magazine that was reviewed by Len’s review for thirty years…another problem with the small press world clearer than ever. After nine months of waiting for responses (and responses to follow-up queries), one journal gave a green light on the interview, but, unfortunately, it was too late. Len had passed away. 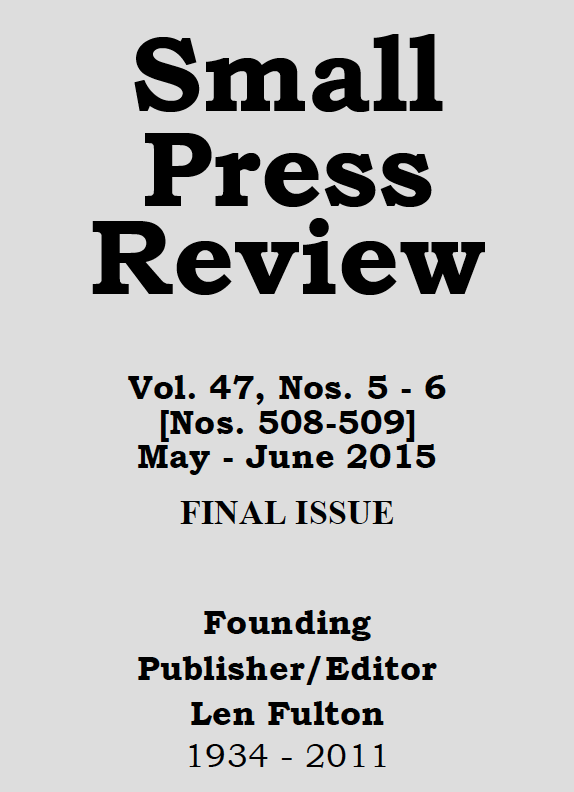 For poets and writers, the magazine offered promotion, recognition, and criticism. The same was offered to the publishers who work so hard to churn out these works . . . but it also offered continuity and had the potential as a foundational base to bring these publishers together as a network rather than as competitive units. 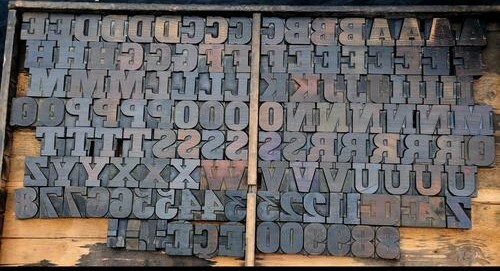 For historians, literary critics, and scholars of publishing and the printed word, Len’s directories offer a map to trace the small press publishing scene of the last half-century. As these researchers begin to shift from the small modernist mags of the turn-of-the century to latter generations, they will most certainly have to begin with Dustbooks as an aid. But more than an aid, it is a model for promotion, collaboration, and friendship between publishers, writers, critics, and readers. So, thank you Len, Susan, and Kathleen for all of your work! It is appreciated. It will be missed. Small Press Review #462: Susan Fulton Raymond’s and Hugh Fox’s eulogies for Len. 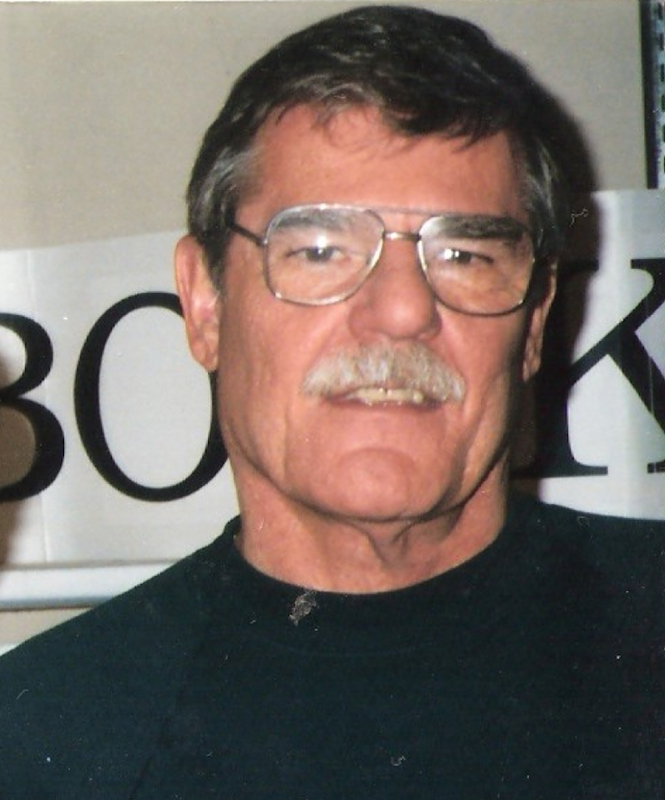 “Hugh Fox Remembers Small Press Legend Len Fulton” from the Boston Area Small Press and Poetry Scene. Len Fulton Obituary from The Poetry Foundation. “Len Fulton, 1934–2011: Butte County has lost one of its finest citizen-politicians of the 20th century” from the News Review. I just saw this – thank you. I miss him. 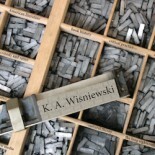 This entry was posted on July 1, 2015 by k.a.wisniewski in Journals, Writing/Publishing and tagged Literary Magazine, Literature, Publishing, Review, Small Press.